Sikorsky was founded in 1925 by aircraft engineer Igor Sikorsky, a Kiev-born American immigrant. The company, named "Sikorsky Manufacturing Company", began aircraft production in Roosevelt, New York that year. In 1929 the company moved to Stratford, Connecticut. It became a part of United Aircraft and Transport Corporation (now United Technologies Corporation) in July of that year. Igor Sikorsky developed the Sikorsky R-4, the first stable, single-rotor, fully-controllable helicopter to enter large full-scale production in 1942, upon which the majority of subsequent helicopters were based (though he did not invent the helicopter itself). Sikorsky Aircraft remains one of the leading helicopter manufacturers, producing such well-known models as the UH-60 Black Hawk and SH-60 Seahawk, as well as experimental types like the Sikorsky S-72 X-Wing. It is a leading defense contractor. Sikorsky has supplied the helicopter for the President of the United States since 1957. Sikorsky's VH-3 and VH-60 currently perform this role. The company acquired Helicopter Support Inc. (HSI) in 1998. HSI handles non-U.S. government after-market support for parts and repair for the Sikorsky product lines. UTC acquired Schweizer Aircraft Corp. in 2004, which now operates as a subsidiary of Sikorsky. The product lines of the two firms are complementary, and have very little overlap, as Sikorsky primarily concentrates on medium and large helicopters, while Schweizer produces small helicopters, UAVs, gliders, and light planes. The Schweizer deal was signed on August 26, 2004, exactly one week after the death of Paul Schweizer, the company's founder and majority owner. In late 2005, Sikorsky completed the purchase of Keystone Helicopter Corporation, located in Coatesville, Pennsylvania. Keystone had been maintaining and completing Sikorsky S-76 and S-92 helicopters prior to the sale. In 2007, Sikorsky opened the Hawk Works, a Rapid Prototyping and Military Derivatives Completion Center (RPMDCC) located west of the Elmira-Corning Regional Airport in Big Flats, New York. That same year Sikorsky purchased the PZL Mielec plant in Poland. The plant is assembling the S-70i for international customers. Sikorsky's main plant and administrative offices are located in Stratford, Connecticut. Other Sikorsky facilities are in Shelton, and Bridgeport, Connecticut; Fort Worth, Texas; West Palm Beach, Florida; and Troy, Alabama. 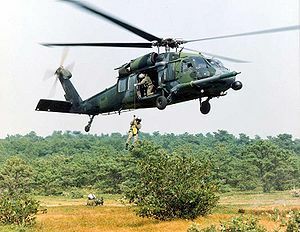 Other Sikorsky-owned subsidiaries are in Trumbull, Connecticut; Coatesville, Pennsylvania; and Grand Prairie, Texas; among others around the world. In February 2009, Sikorsky Global Helicopters was created as a business unit of Sikorsky Aircraft to focus on the construction and marketing of commercial helicopters. The business unit combines the main civil helicopters that were produced by Sikorsky Aircraft and the helicopter business of Schweizer Aircraft that Sikorsky has acquired in 2004. It is based at Coatesville, Pennsylvania. Sikorsky designates nearly all of its models with S-numbers; numbers S-1 through S-20 were designed by Igor Sikorsky in Russia (see Igor Sikorsky). Later models, especially helicopters, received multiple designations by the military services using them, often depending on purpose (UH, SH, and MH for instance), even if the physical craft had only minor variations in equipment. In some cases, the aircraft were returned to Sikorsky or to another manufacturer and additionally modified, resulting in still further variants on the same basic model number. Sikorsky S-29-A: twin-engine cargo biplane. First Sikorsky built in the U.S.
Sikorsky S-45: six-engine flying boat (for Pan Am). Never built. Sikorsky S-97 proposed design for the United States Army Armed Aerial Scout programme. Sikorsky X2: concept demonstrator with twin, contra-rotating rotors and a pusher prop. Sikorsky S-57/XV-2: Supersonic convertiplane with single blade retractable rotor. Never built.